Bob Easton thinks he has a cold. Before he dies in agony, four days later, he infects dozens of people. Local health agencies become quickly overwhelmed by the sick and dying and beg the CDC for help. 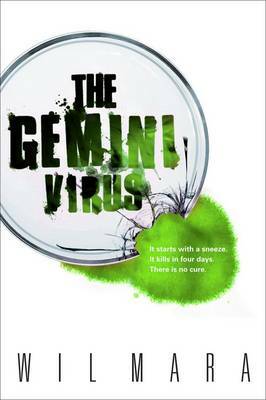 Dr. Michael Beck and Cara Porter, a member of the Epidemic Intelligence Service, race to identify the deadly bug. They can't cure it until they know what it is. Dennis and Andi Jensen and their children are terrified. Schools and offices close. Fresh food disappears from store shelves. Three of their children's friends die. Their neighbours are dying or running away, fleeing the unstoppable infection. Desperate, the Jensens join the exodus, making a nightmarish journey to their isolated mountain cabin along empty roads, through abandoned towns, past looted shopping malls. The superbug - and the panic - quickly spreads beyond America's borders. On a packed plane, someone coughs - and at their destination, the pilots are told, "you can't land here." US military bases are quarantined. Yet the virus continues to spread. Some believe the plague is man-made. Others see it as a sign of the end times. In the lab, Cara Porter makes a potentially fatal mistake. In the mountains, Andi Jensen tells her husband that she doesn't feel well.